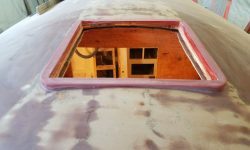 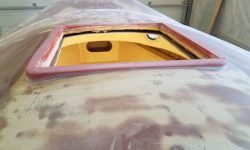 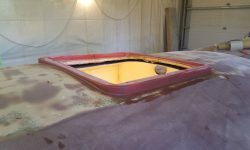 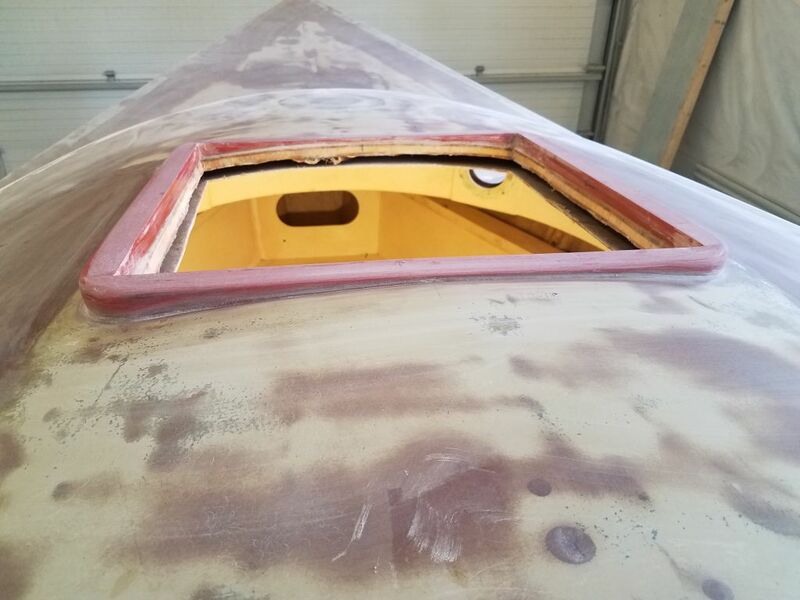 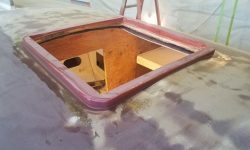 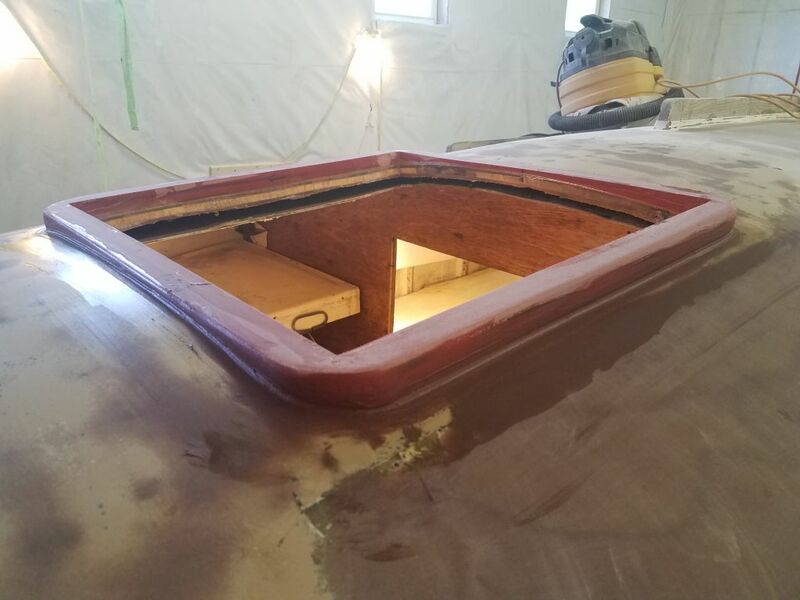 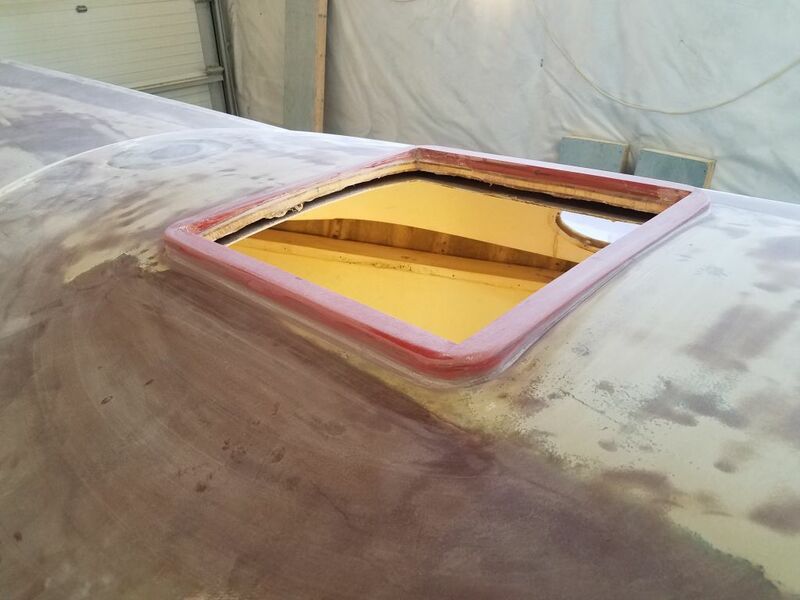 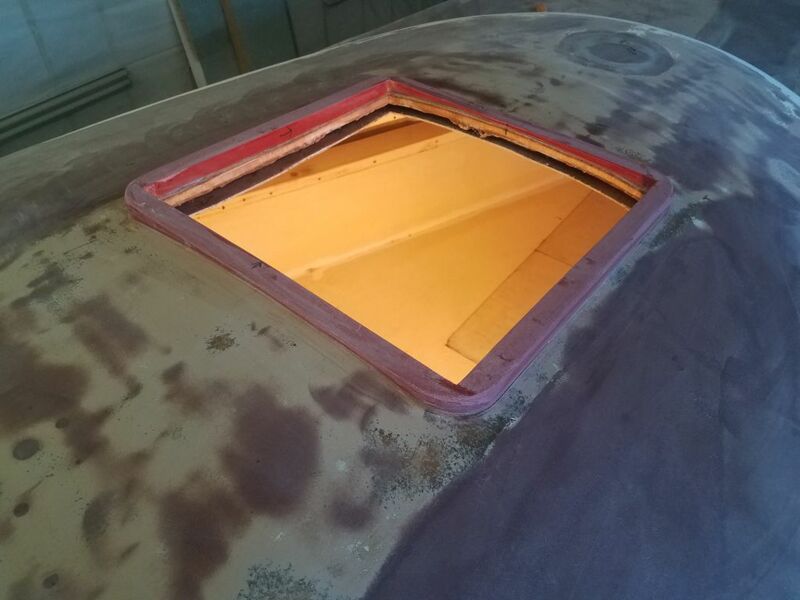 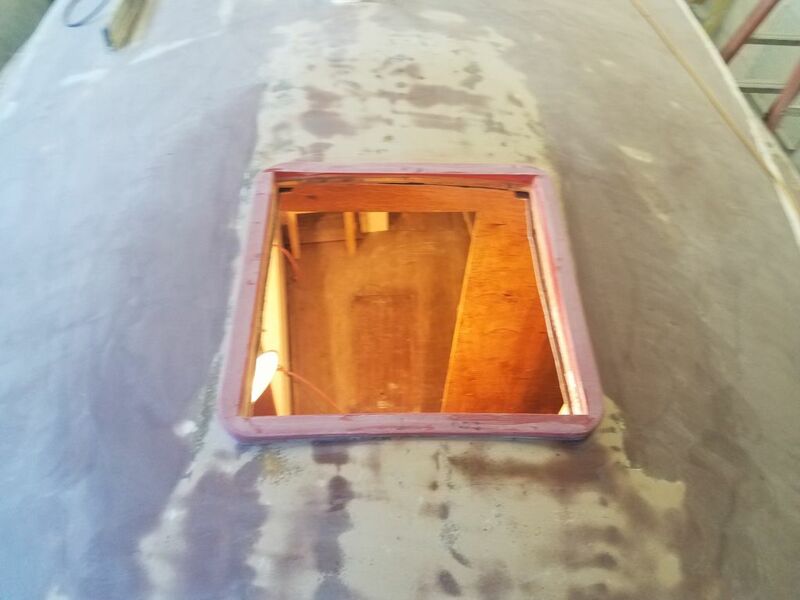 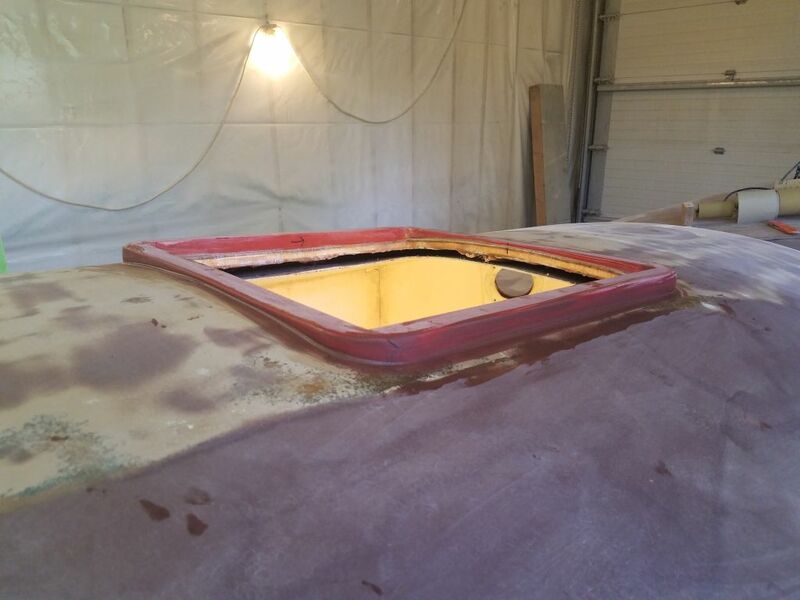 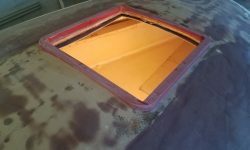 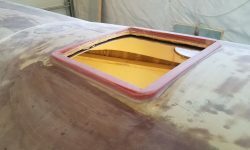 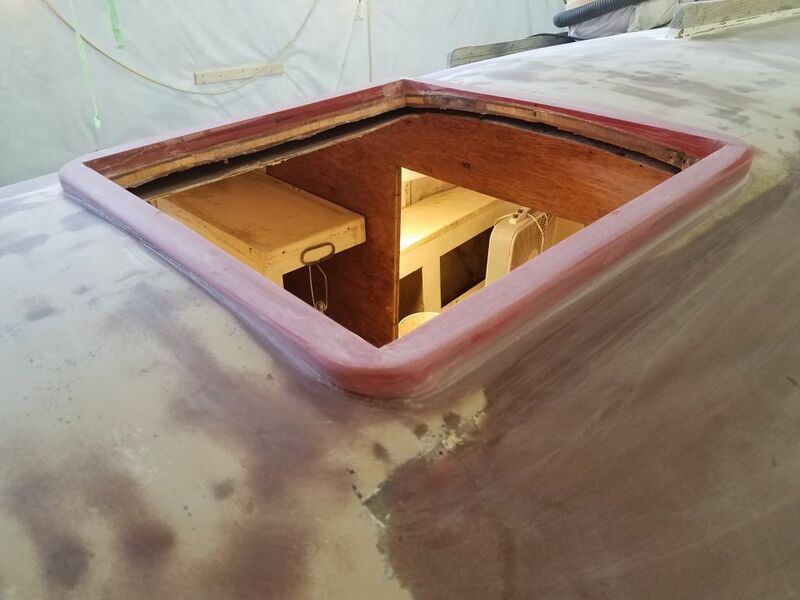 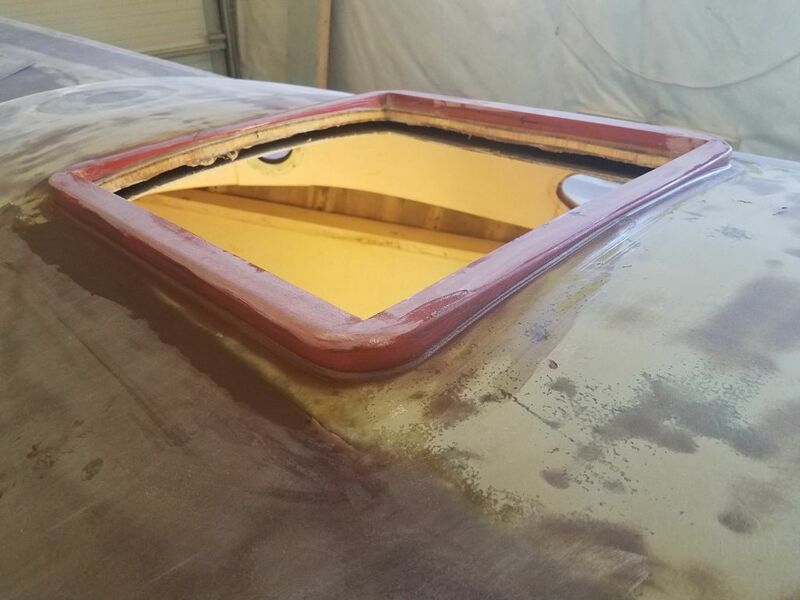 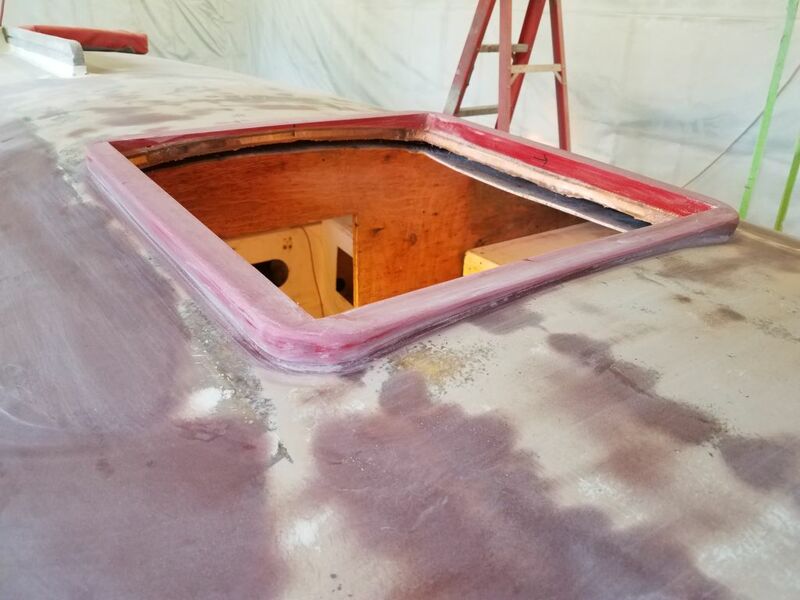 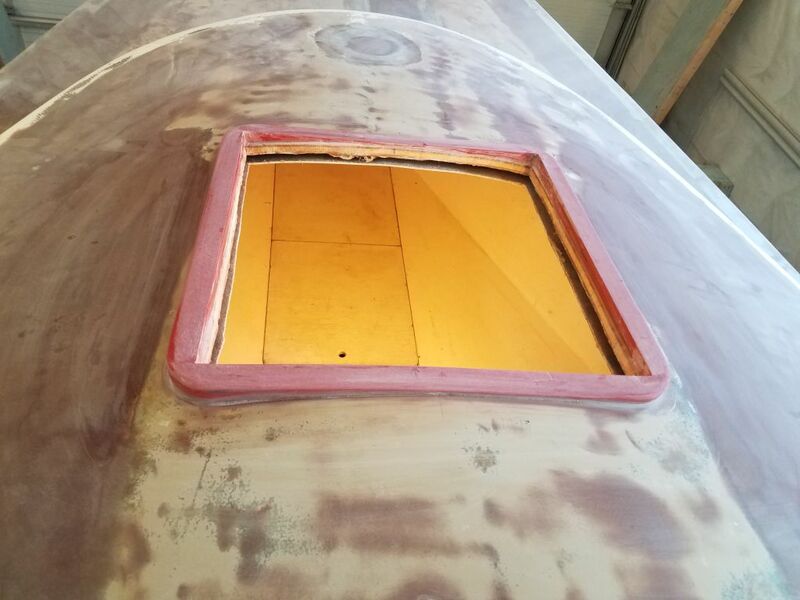 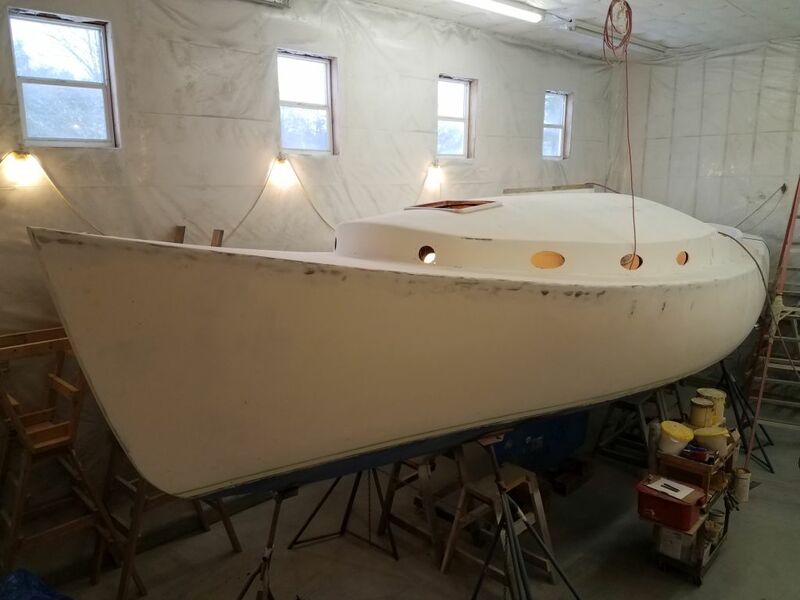 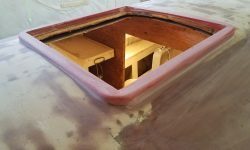 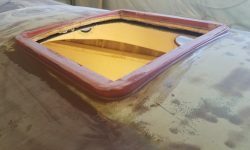 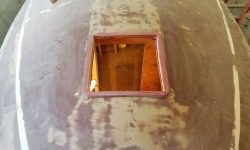 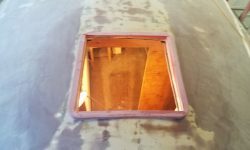 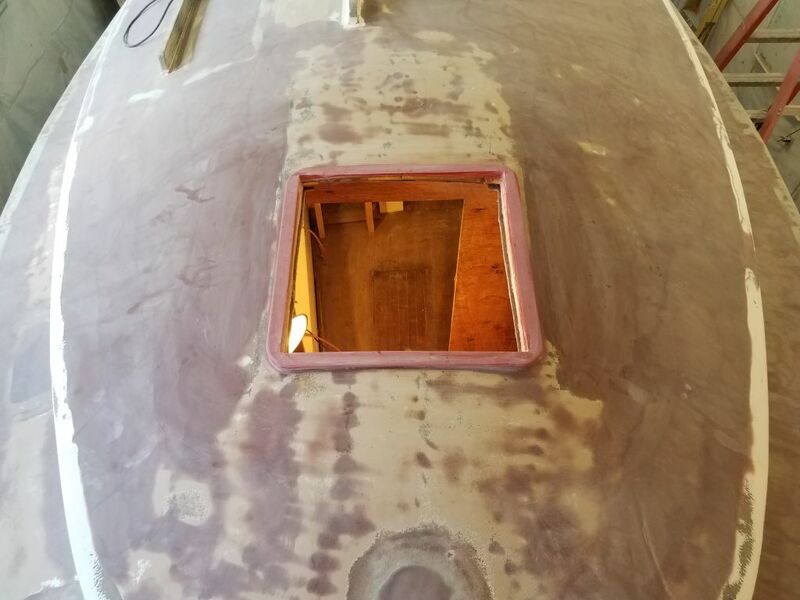 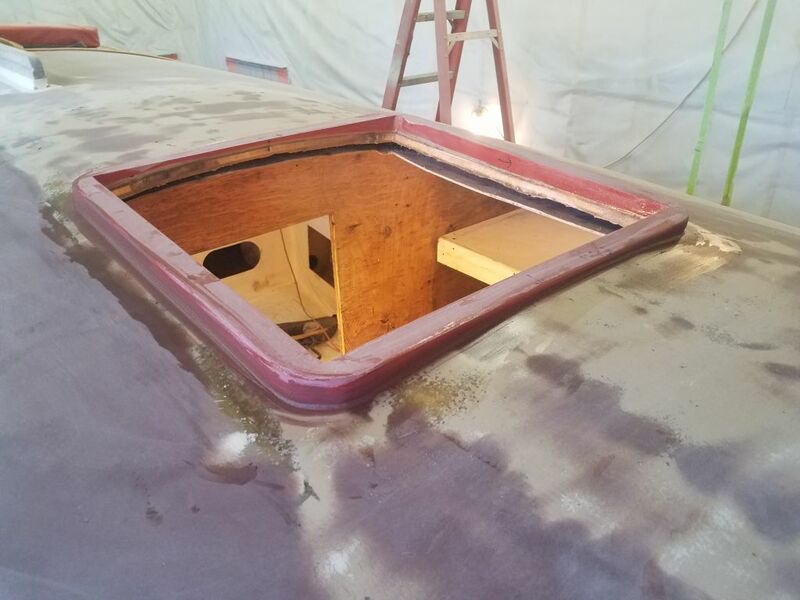 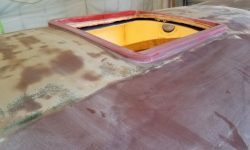 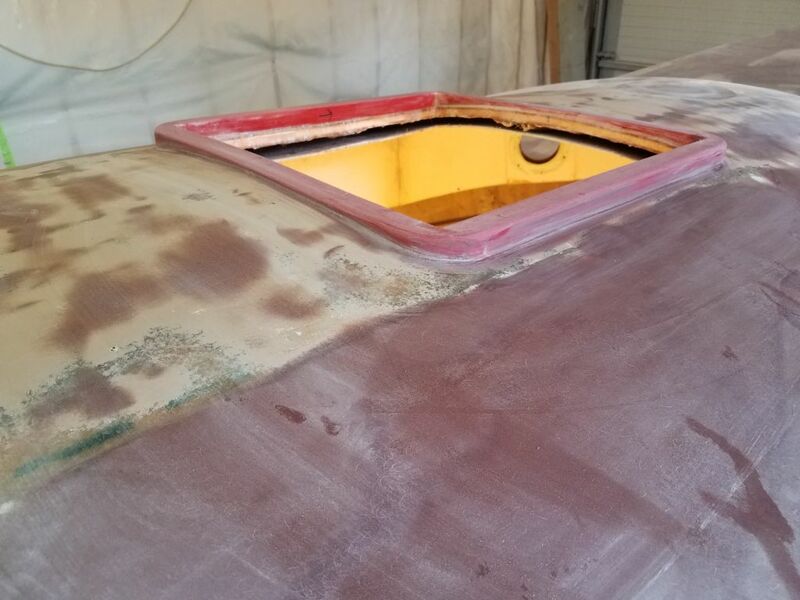 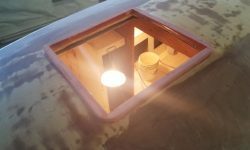 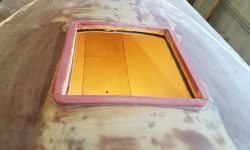 Now that the hatch frame was secured in place, I cleaned up and lightly sanded the area as needed to remove any excess epoxy and otherwise prepare the surfaces for the next steps. 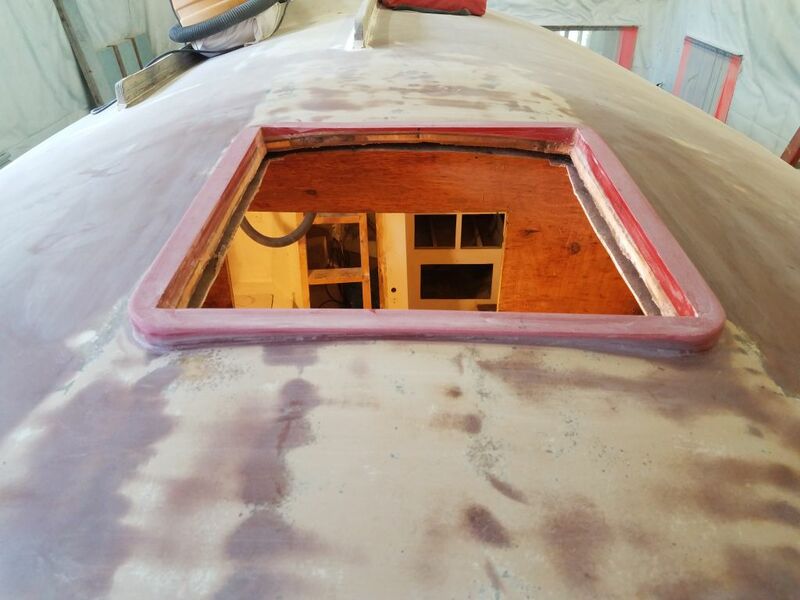 Afterwards, I applied a cosmetic epoxy fillet to the transition between the frame and the deck. 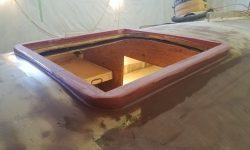 I kept the fillet radius small because the frame itself was nearly flush with the deck amidships, at the height of the crown, and there was no need for a large fillet in any event. 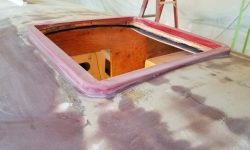 The fillet roughly matched the contour of the top edge of the frame, which I’d eased during construction. 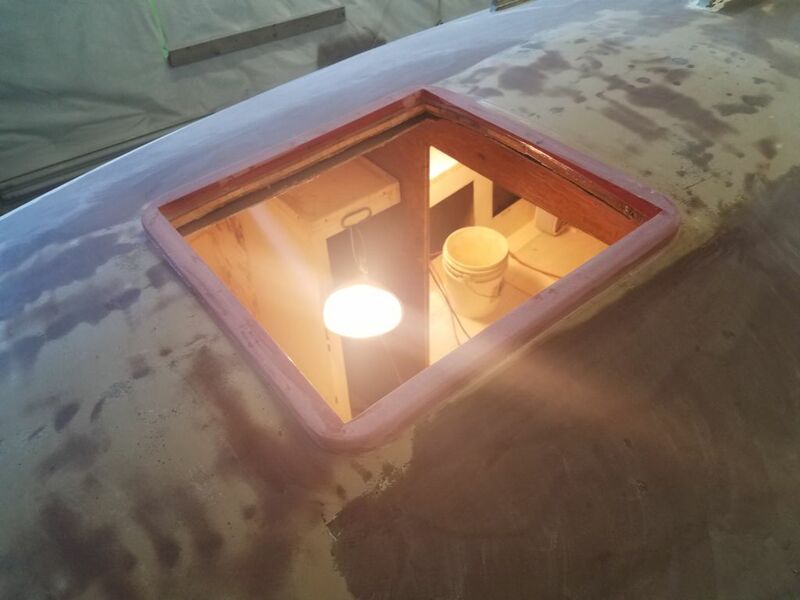 Once the new fillet cured overnight, I water-washed, then lightly sanded as needed to prepare the exterior of the hatch frame for high-build primer, after which I’d complete any further fine-tuning if necessary, along with additional work on the inside of the frame to finish off and better secure the opening from within.